You may have missed this in the mainstream media, but Nicaraguan liberation theologian and Maryknoll Father Miguel D’Escoto Brockman passed away on Thursday at the age of 84. He was a historic religious and political leader in the Sandinista Revolution, served as Nicaraguan Foreign Minister in the 1980’s during the U.S. backed contra war and later also served as head of the General Assembly of the United Nations in 2008. 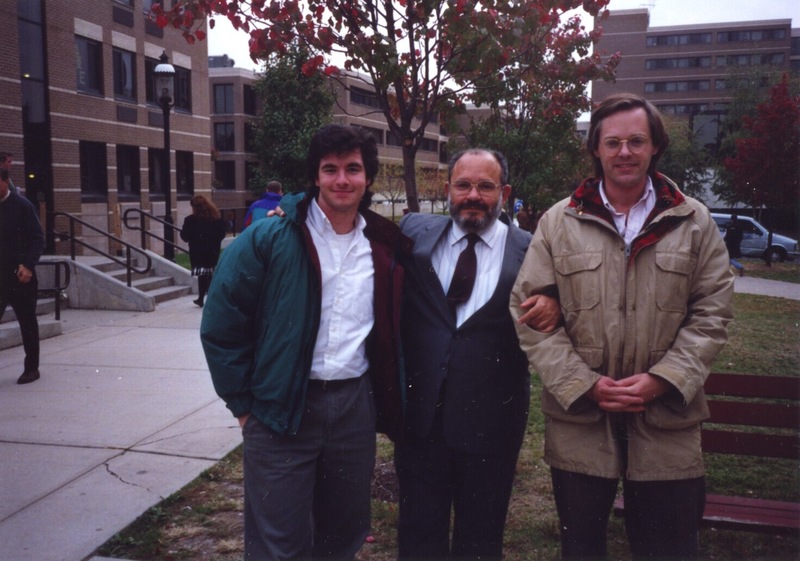 As you can see from the attached vintage photograph from 1992, Jim Burchell and I had the opportunity to meet Father D’Escoto when he spoke at Seton Hall University a few years after the 1990 electoral defeat of Daniel Ortega. Read an obituary in English. Here’s an obituary in Spanish. In 1984, the Nicaraguan Government filed suit against the United States at the International Court of Justice in The Hague to challenge the illegal US support for the contra rebels and the mining of Nicaragua’s port. Father D’Escoto stated at a news conference at that time: “To dispense with the rule of law in international relations is tantamount to condemning humanity to a future of suffering, death and destruction.” He called United States actions in Nicaragua ”a direct assault on the international legal order.” Click here to read more.